Kinesis provides ordering of records, as well as the ability to read and/or replay records in the same order to multiple Kinesis applications. Accelerated log and data feed intake: Data producers can push data to Kinesis stream as soon as it is produced, preventing any data loss and making it available for processing within seconds. Real-time metrics and reporting: Metrics can be extracted and used to generate reports from data in real-time. Real-time data analytics: Run real-time streaming data analytics. Complex stream processing: Create Directed Acyclic Graphs (DAGs) of Kinesis Applications and data streams, with Kinesis applications adding to another Amazon Kinesis stream for further processing, enabling successive stages of stream processing. Amazon Kinesis is designed to process streaming big data and the pricing model allows heavy PUTs rate. Streams are made of shards and is the base throughput unit of an Kinesis stream. All data is stored for 24 hours. Shards define the capacity limits. If the limits are exceeded, either by data throughput or the number of PUT records, the put data call will be rejected with a ProvisionedThroughputExceeded exception. A record is the unit of data stored in an Amazon Kinesis stream. A record is composed of a sequence number, partition key, and data blob. Data blob is the data of interest your data producer adds to a stream. Partition key is used to segregate and route records to different shards of a stream. A sequence number is a unique identifier for each record. Sequence number is assigned by Amazon Kinesis when a data producer calls PutRecord or PutRecords operation to add data to an Amazon Kinesis stream. Sequence numbers for the same partition key generally increase over time; the longer the time period between PutRecord or PutRecords requests, the larger the sequence numbers become. Data to an Amazon Kinesis stream can be added via PutRecord and PutRecords operations, Kinesis Producer Library (KPL), or Kinesis Agent. is a pre-built Java application that offers an easy way to collect and send data to Amazon Kinesis stream. 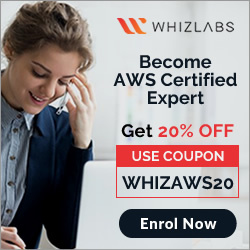 is an easy to use and highly configurable library that helps you put data into an Amazon Kinesis stream. presents a simple, asynchronous, and reliable interface that enables you to quickly achieve high producer throughput with minimal client resources. You are deploying an application to track GPS coordinates of delivery trucks in the United States. Coordinates are transmitted from each delivery truck once every three seconds. You need to design an architecture that will enable real-time processing of these coordinates from multiple consumers. Which service should you use to implement data ingestion? You are deploying an application to collect votes for a very popular television show. Millions of users will submit votes using mobile devices. The votes must be collected into a durable, scalable, and highly available data store for real-time public tabulation. Which service should you use? Your company is in the process of developing a next generation pet collar that collects biometric information to assist families with promoting healthy lifestyles for their pets. Each collar will push 30kb of biometric data In JSON format every 2 seconds to a collection platform that will process and analyze the data providing health trending information back to the pet owners and veterinarians via a web portal Management has tasked you to architect the collection platform ensuring the following requirements are met. Provide the ability for real-time analytics of the inbound biometric data Ensure processing of the biometric data is highly durable, elastic and parallel. The results of the analytic processing should be persisted for data mining. Which architecture outlined below will meet the initial requirements for the collection platform? Utilize S3 to collect the inbound sensor data analyze the data from S3 with a daily scheduled Data Pipeline and save the results to a Redshift Cluster. Utilize SQS to collect the inbound sensor data analyze the data from SQS with Amazon Kinesis and save the results to a Microsoft SQL Server RDS instance. 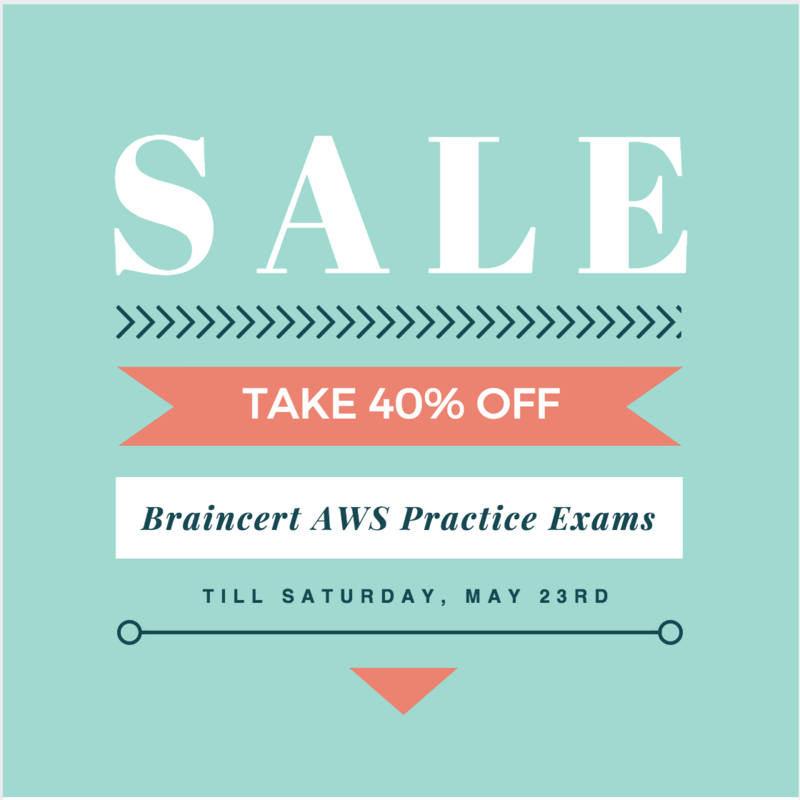 Utilize EMR to collect the inbound sensor data, analyze the data from EUR with Amazon Kinesis and save me results to DynamoDB. Your customer is willing to consolidate their log streams (access logs, application logs, security logs etc.) in one single system. Once consolidated, the customer wants to analyze these logs in real time based on heuristics. From time to time, the customer needs to validate heuristics, which requires going back to data samples extracted from the last 12 hours? What is the best approach to meet your customer’s requirements? Send all the log events to Amazon SQS. Setup an Auto Scaling group of EC2 servers to consume the logs and apply the heuristics. Your social media monitoring application uses a Python app running on AWS Elastic Beanstalk to inject tweets, Facebook updates and RSS feeds into an Amazon Kinesis stream. A second AWS Elastic Beanstalk app generates key performance indicators into an Amazon DynamoDB table and powers a dashboard application. What is the most efficient option to prevent any data loss for this application? Use AWS Data Pipeline to replicate your DynamoDB tables into another region. Use the second AWS Elastic Beanstalk app to store a backup of Kinesis data onto Amazon Elastic Block Store (EBS), and then create snapshots from your Amazon EBS volumes. Add a second Amazon Kinesis stream in another Availability Zone and use AWS data pipeline to replicate data across Kinesis streams. 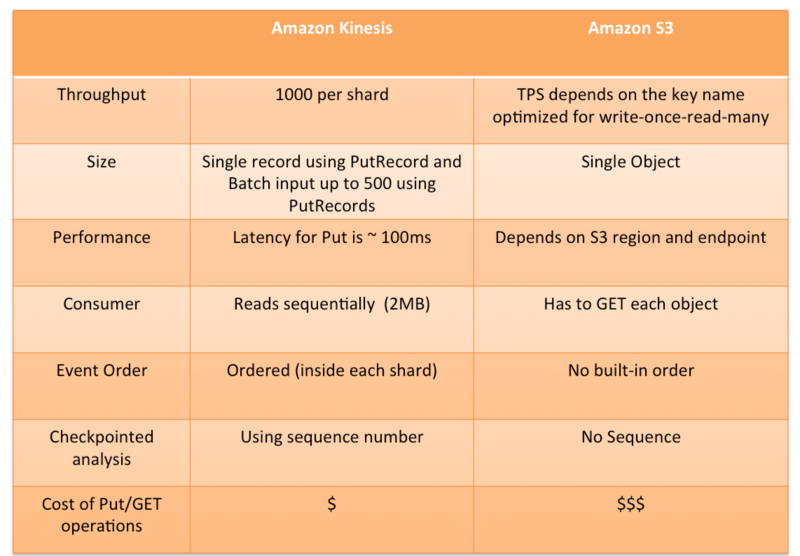 Add a third AWS Elastic Beanstalk app that uses the Amazon Kinesis S3 connector to archive data from Amazon Kinesis into Amazon S3. You need to perform ad-hoc business analytics queries on well-structured data. Data comes in constantly at a high velocity. Your business intelligence team can understand SQL. What AWS service(s) should you look to first? For question i think the main objective here is durable, high-available and scalable data store. Not data ingestion. So i’ll go for Answer A: Dynomo DB as the “durable” data store solution for the described scenario. Agreed, Kinesis is more for data capture and would not allow for real time tabulation. Correct the same. No, Kinesis allows for real-time data processing. Kinesis Data Streams allows for real-time data processing. With Kinesis Data Streams, you can continuously collect data as it is generated and promptly react to critical information about your business and operations. yup but it would not work as a data store. Hi, Can you explain why in Q8, we can not use Kinesis Firehose + RDS? usually with analytics data and adhoc queries, Redshift the preferred data warehousing option. RDS is suitable for OLTP, while Redshift is for OLAP. Could you please suggest good site for learning devops. Sorry, not sure for devops as it is a very wide topic. can you please explain question 6. Why isn’t the answer b? EBS is not an ideal choice for data storage in this case.